Surprise! You've got a freelance bio-exorcist ghost in your front yard! 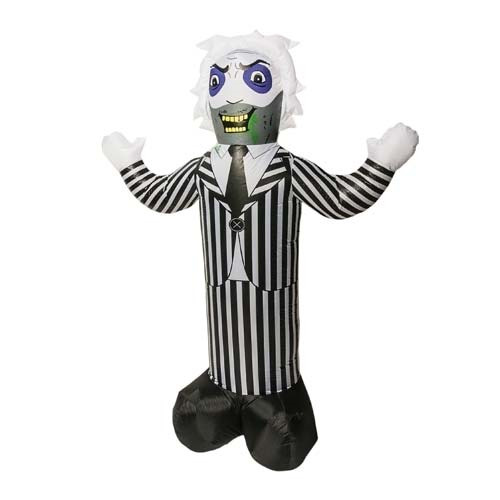 The Beetlejuice 7-Foot Inflatable Decoration sports internal lights, a fan, strings, and stakes. Plug him in and let the fun begin!